One of Germany's biggest music festivals is to resume a day after the site had to be evacuated because of a "potential terrorist threat". The organisers of Rock am Ring said intensive searches had been carried out by police and that performances would resume early on Saturday afternoon. About 90,000 people are expected to attend the event near the Nürburgring race track, which ends on Sunday. Last month, a suicide bomb attack at a concert in Manchester killed 22 people. 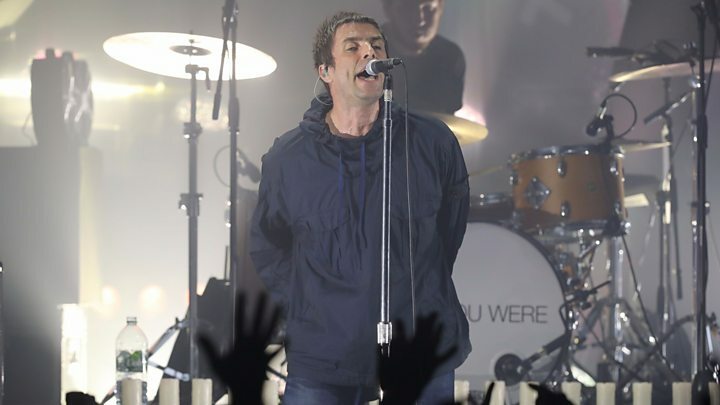 Former Oasis frontman Liam Gallagher, who played his first-ever solo gig on Tuesday in aid of the victims of the attack in his native Manchester, was among the performers due to play Rock am Ring on Friday. German police said the bombing had led to changes in planning for Rock am Ring, with the number of security officials increased substantially to 1,200. Fans had been hoping to see German rock giants Rammstein at the Nürburg Arena on Friday when they were asked to leave in a "calm and controlled" way. Police in the nearby city of Koblenz said they had ordered a temporary halt to the festival as a precaution after receiving "a concrete warning that made it impossible to rule out a terror threat", but provided no details. On Saturday morning, the festival's organisers announced it would "go on". "After intensive searches and sweeps of the complete festival site by the police, the suspicion of a potential terrorist threat has not been confirmed," a statement said. "Set-up for day 2 of Rock am Ring has commenced and the programme is going to be resumed in the early afternoon. The incredibly disciplined fans deserve all our respect and gratitude." Besides Rammstein and Liam Gallagher, British acts Bastille and Rag'n'Bone Man had also been due to perform on the main stage on Friday evening. Saturday's headliner is the German punk band Die Toten Hosen, while Sunday's is the Armenian-American heavy metal band System of a Down. 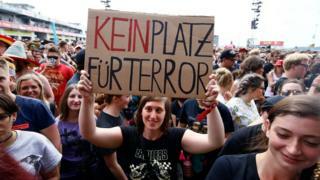 Last year, Rock am Ring's final day was cancelled after lightning strikes injured dozens of people.